Transferring money through mobile is becoming increasingly popular as mobile wallets continue to develop and evolve. Millennials are in particular aboard the hype and helping to drive the digital wallet revolution. It’s no secret that the functions of the smartphone are endless, but their payment capabilities now represent a whole different ball game. And it’s not just financial transactions – mobile wallets are now incorporating loyalty cards, ID, coupons, event, boarding passes, train tickets, alerts and notifications. 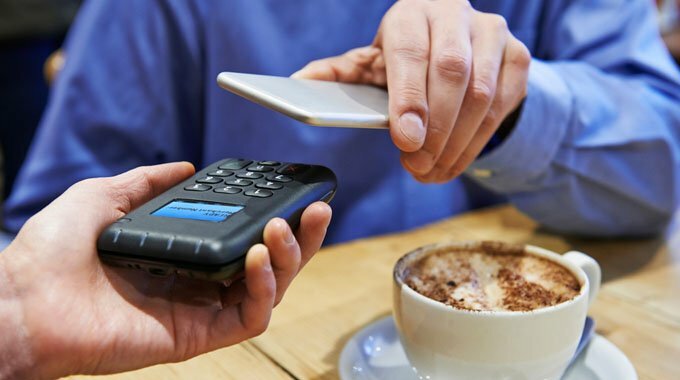 Both Android and Apple have launched their tap-and-go contactless payment service and, with almost 60% of the UK’s smartphone users owning an Android handset, financial transactions are increasingly taking place via mobile phones. Apple Pay has been in use in the UK for almost two years and thousands of retail outlets, from fast food chains to the London Underground. Both Visa and Mastercard credit and debit cards are compatible with Android and Apple pay, though Barclay customers will have to use Barclay’s own mobile banking app. Mobile wallets are not only convenient for users but they also allow businesses the ability to engage users with an in-app experience without having to actually build, maintain and pay for their own app. It’s because of this that integrating mobile payment features into the brand is a highly valuable mobile strategy as it’s essential if a brand wishes to capture the future market. A good mobile wallet can offer businesses the ability to engage users from the beginning of the journey through the end by re-engaging them with notifications and saving their digital receipts at the close of transactions. And it’s not just retail payments you can use your mobile wallet for, it can also be used to transfer money overseas without any hefty bank fees. Sites like TransferGo offer both a website and app that allows for just a fraction of the usual fee. Banks charge an average transfer fee of £10.00 whereas TransferGo charge just £0.99 with an exchange rate mark-up between 0.4-2% compared to the bank’s mark-up of 5%+. They represent a growing trend of licensed Authorized Payment Institutions regulated by the FCA and supervised by HMRC which means any payments are met with the highest level of security. This means you’re able to transfer the money anywhere at any time which is particularly useful if you’re a business which need to transfer money abroad. You can send the money leaving the office, on your way to or from work, or wherever you please and it will be with the recipient by the next working day. Mobile payments show no sign of slowing down. Since their launch in 2015 they have grown exponentially and by 2020, it’s estimated that payments made via mobile will have increased by a staggering 80%. So it’s probably fair to say that Apple and Android are both ahead of the curve as far as digital wallets are concerned. There is no doubt that digital wallet is being used by many and its future is in expected growth but then also I will show my disagree with the rapid use of it. I am concern about money theft, as I have seen that as much as technology grow it harms us in anyway. Money wallet plays a very important role in mobile commerce industry growth. It has a good future but a matter of concert of is a thread, still money wallet is not much secure till now. Transferring money from mobile is the best secure way for payment than cash payment and also very easy and fast. So digital wallets will be the future of commerce. Well said, Digital money transferring is booming and even google has launched Tej Mobile app in India. I guess future technology like digital wallets will create a negative impact on Jobs in banking sector. Technology advancement is eating jobs of people.